There’s a lovely buzz around Ark Coffee on a Sunday morning. It’s a haven for locals tucked away behind Hurstmere Road in Takapuna on Auckland’s North Shore. Dog walkers, gym bunnies, beach combers, market shoppers, groups of friends, and those just seeking a quiet spot to catch up on the papers. There is a warmth to Ark, a friendliness, which often goes with a family business. Sisters Ulala and Naomi set themselves the task of bringing great coffee to Takapuna back in 2012, and like this morning, I have often witnessed three generations of their family all in there at the same time. 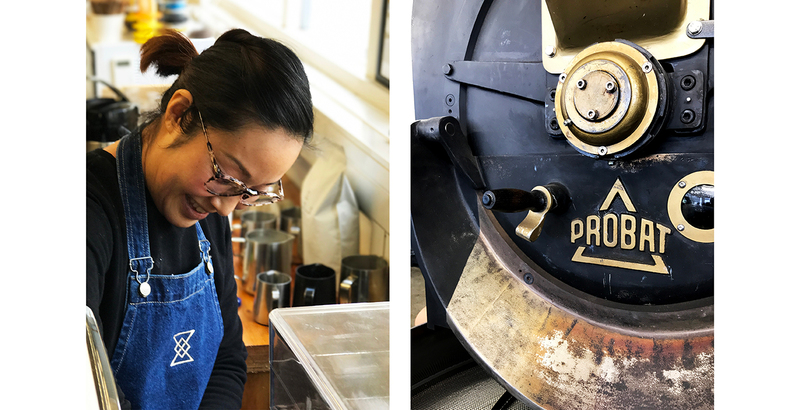 They are as passionate about coffee as I am about denim, and that is what shines through – the sharing of that passion in guiding you to the best choice of bean and the right equipment to buy for home use, to baking just the best apple pie in Auckland! This place is the real deal. It has grown with a philosophy of “Great coffee comes from the heart” and that love is reflected in the giant roasting machine taking pride of place in the centre of the café. The small touches like the hand crafted wooden benches outside, fresh green plants and hand written tags on the baked goods all add to that sense of caring. Our family has appreciated Ark coffee pretty much since they opened - the boys regularly calling in to fuel up before and often after, a long bike ride. It has been lovely watching this family business grow, and this year being their 5th anniversary, will hopefully see a collaboration with Bear Brothers which we are very excited about. More about that to come, after our aprons have been put to the test. “Great coffee comes from the heart” a philosophy of love that is reflected in the giant roasting machine taking pride of place in the centre of the café." Our aprons have a label on the inside of the bib stating "Labour of Love” which suits the culture of Ark coffee so perfectly.